Antonio Gramsci is widely known today for his profound impact on social and political thought, critical theory and literary methodology. 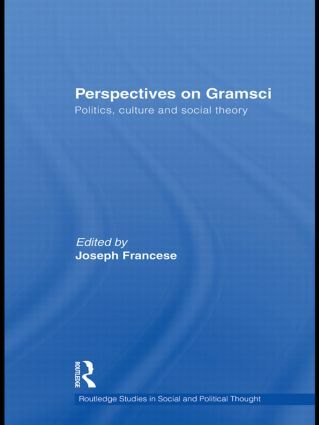 This volume brings together twelve eminent scholars from humanities and social sciences to demonstrate the importance and relevance of Gramsci to their respective fields of inquiry. They bring into focus a number of central issues raised in Gramsci’s Prison Notebooks and in such other writings as his Prison Letters including: hegemony, common sense, civil society, subaltern studies, cultural analysis, media and film studies, postcolonial studies, international relations, linguistics, cultural anthropology, and historiography. The book makes an important, and up-to-date, contribution to the many academic debates and disciplines which utilize Gramsci’s writings for theoretical support; the essays are highly representative of the most advanced contemporary work on Gramsci. Contributors include: Michael Denning – highly respected in the field of cultural studies; Stephen Gill – an eminent figure in international relations; Epifanio San Juan, Jr. – a major writer in post-colonial theory; Joseph Buttigieg —translator of Gramsci’s Prison Notebooks — ; Stanley Aronowitz, a distinguished sociologist, Marcia Landy — an important scholar of film studies; and Frank Rosengarten — editor of Gramsci’s Prison Letters. This book will be of interest to students and scholars of political philosophy, economics, film and media studies, sociology, education, literature, post-colonial studies, anthropology, subaltern studies, cultural studies, linguistics and international relations. ByEPIFANIO SAN JUAN J R .